What are the main visual clues that tell you this is a bunkhouse? Big and ugly – right? What if bunkhouses were beautiful? Would we like them better? Trina Cooper-Bolam (Director, Action Sandy Hill) and Dr. Rebecca Dolgoy (Instructor, Carleton University) acted on that idea recently. 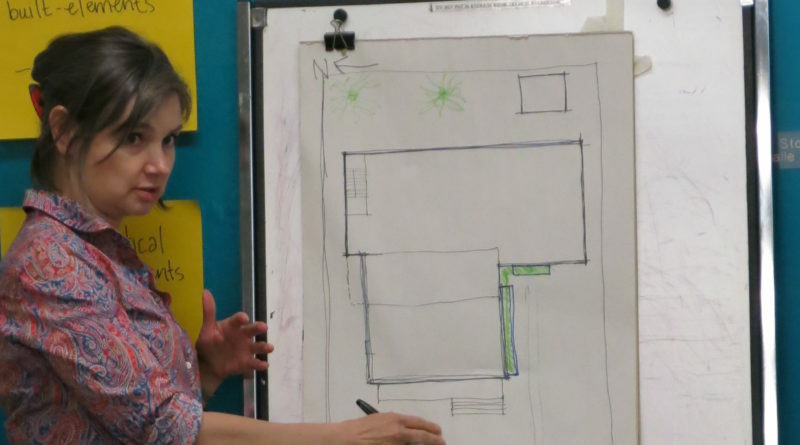 These innovators organized a charrette (a collaborative session in which participants develop solutions to design problems) to redesign a bunkhouse. First, however, they had to have the bunkhouse. This takes the story back to last January and a community project called Cultural Memory Workshop hosted at allsaints. 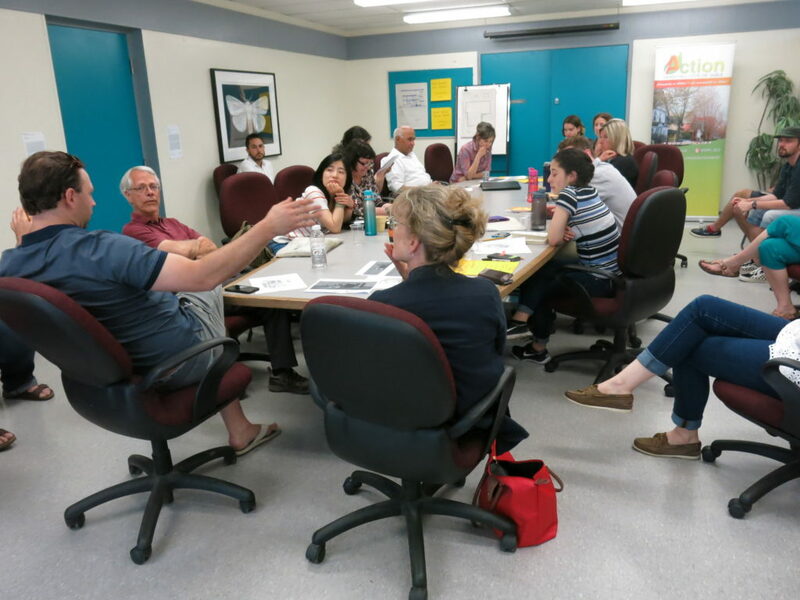 The workshop was planned to discuss the challenges facing Sandy Hill and to develop priorities and ideas for creating positive change in our neighbourhood. It was clear that bunkhouses were a big challenge to our community. The ensuing discussion led to the idea of rehabilitating a bunkhouse. Property developer Jeremy Silbert was present at the workshop and he, after giving the idea a little time to digest, offered one of his properties for the project. It was a bunkhouse with three units and 18 bedrooms, located on Chapel Street. Jeremy had already applied to the city for approval to convert its interior into seven units of two or three bedrooms each, hoping the change would appeal to a broader range of tenants. That left the exterior, for which the community could propose beautification ideas. 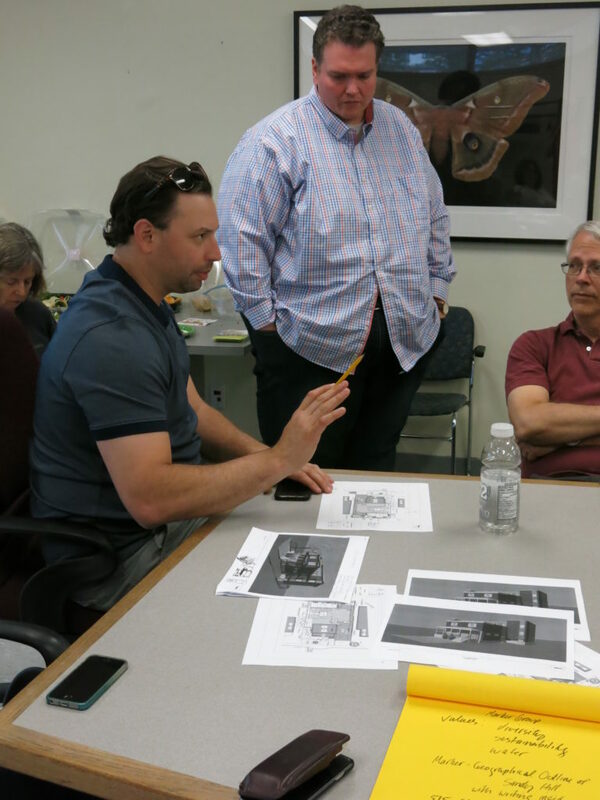 Following up on Jeremy’s offer and his agreement to implement the community-proposed changes at his cost, Trina and Rebecca organized another community workshop – the design charrette mentioned earlier. This was a one-day session between community members and Carleton University and Algonquin College students, followed by a day of student-only design rendering at Carleton’s Azrieli School of Architecture and Urbanism. The day of collaboration on June 3 began at 10:30 a.m. at 515 Chapel Street where the group observed the subject building and surroundings. Afterward, everyone walked to the Sandy Hill Community Centre where the ten students from Carleton’s Architecture, Heritage Conservation, and Industrial Design programs and Algonquin’s Architectural Technology program discussed design with approximately ten Sandy Hill community volunteers. So, what did they come up with and how did they do it? The design discussion began with three break-out groups – one to talk about exterior building design, one for landscape design, and one to consider ways to mark or label redesigned properties like this one with an identifying ‘logo’ readily seen from the street. Jeremy Silbert participated in these discussions and provided constraint on the wilder ideas. Recommendations for changes to the building exterior focused on integrating the original structure with the huge addition – standardizing window and door treatments, modernizing the front porch, reducing the vertical look of the addition, and changing the colour scheme. The property had very little landscaping, so many ideas, mainly centred on softening transitions and increasing green space, were offered and readily accepted. Ideas were developed for a marker that will be further developed by the student designers. As we go to press, student renderings representing the multiple design options identified by the charrette have not yet been seen so no concrete results can be presented. Once these have been seen and reviewed and options selected by the team, a final recommendation will be provided to Jeremy for implementation. Representative of 151 Chapel’s developer, Jeremy Silburt has been engaged in the process from the start. As a process, this “re-imagining” seemed to be very successful. Trina and Rebecca were happy that the collaborative process worked so well and Jeremy is pleased and thinks the community and his property will both benefit – which was the idea from the start. 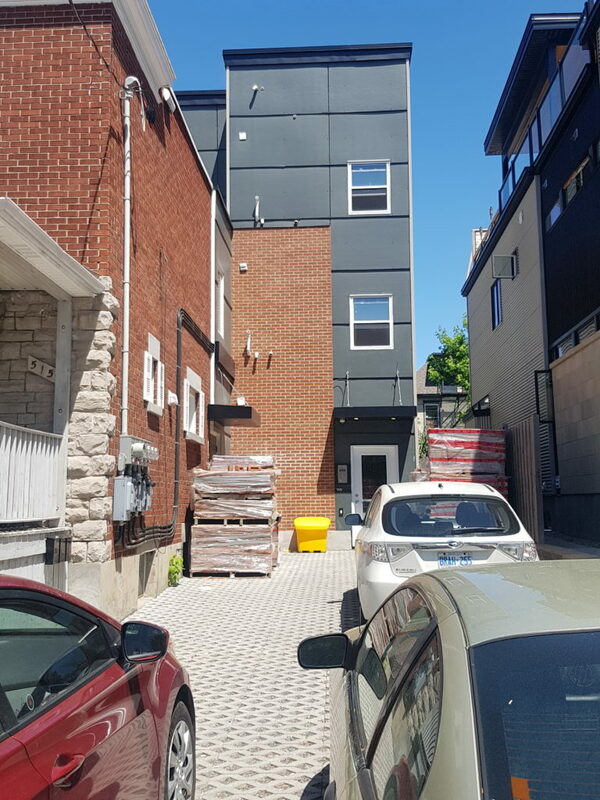 One of the remarkable things about this project is the community-minded attitude of Mr. Silbert, unique for a developer in Sandy Hill (except for Leanne Moussa). He volunteered to be part of this project. Nothing or nobody forced him. Kudos to you, Jeremy. This exciting innovative process could have further application in helping change the look of Sandy Hill. Stay tuned. 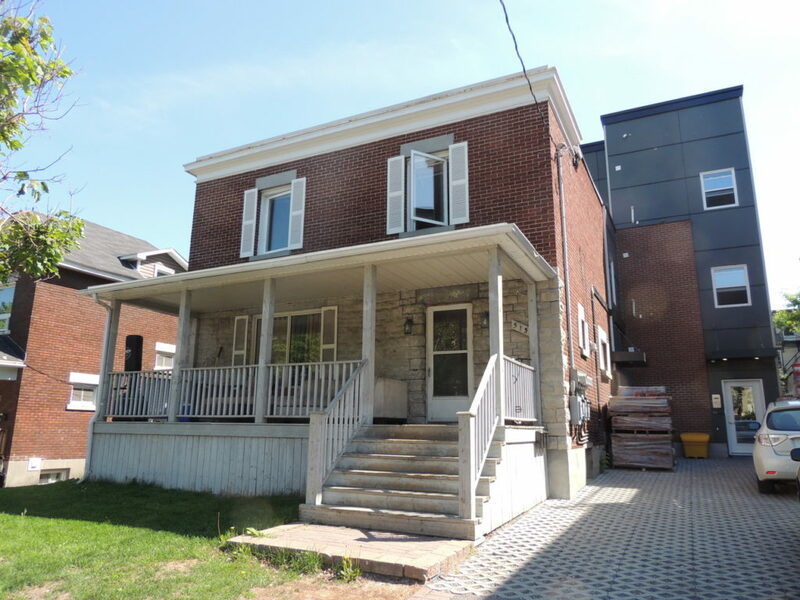 Trina and Rebecca are already thinking about using it again with other properties in Sandy Hill. Kudos to them, especially.